Resum: Macrophages and microglia play a key role in the maintenance of nervous system homeostasis. However, upon different challenges, they can adopt several phenotypes, which may lead to divergent effects on tissue repair. 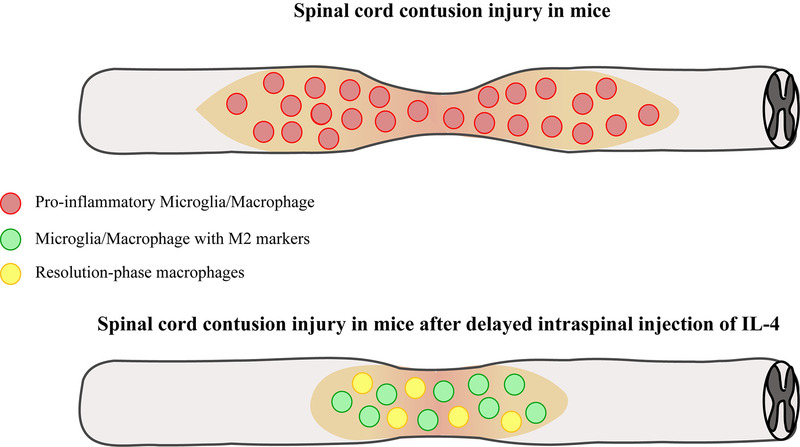 After spinal cord injury (SCI), microglia and macrophages show predominantly pro-inflammatory activation and contribute to tissue damage. 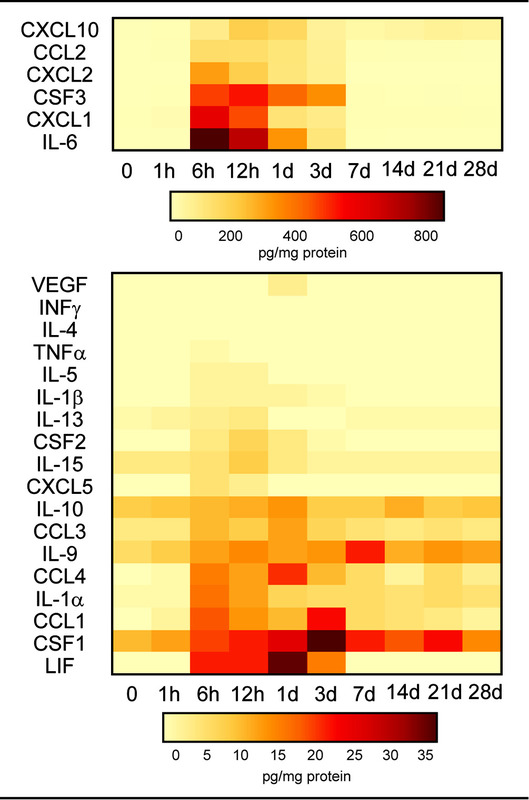 However, the factors that hamper their conversion to an anti-inflammatory state after SCI, or to other protective phenotypes, are poorly understood. 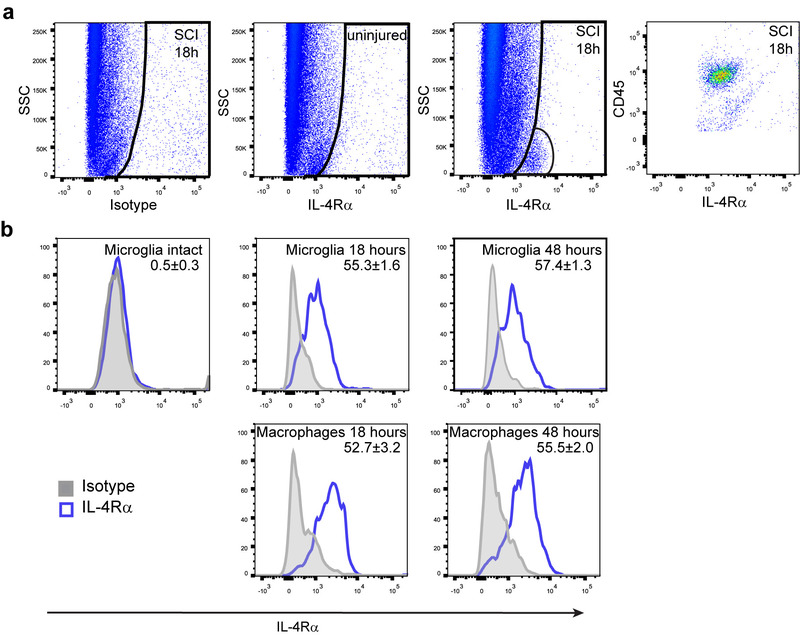 Here, we show that IL-4 protein levels are undetectable in the spinal cord after contusion injury, which likely favors microglia and macrophages to remain in a pro-inflammatory state. 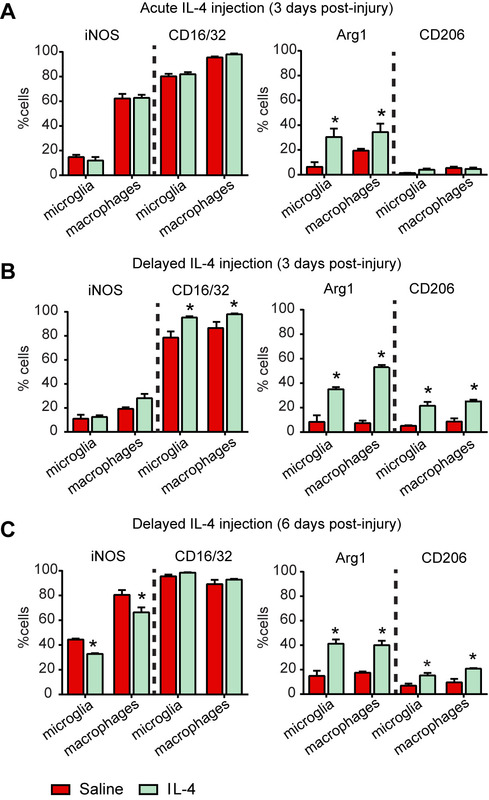 We also demonstrate that a single delayed intraspinal injection of IL-4, 48 hours after SCI, induces increased expression of M2 marker in microglia and macrophages. 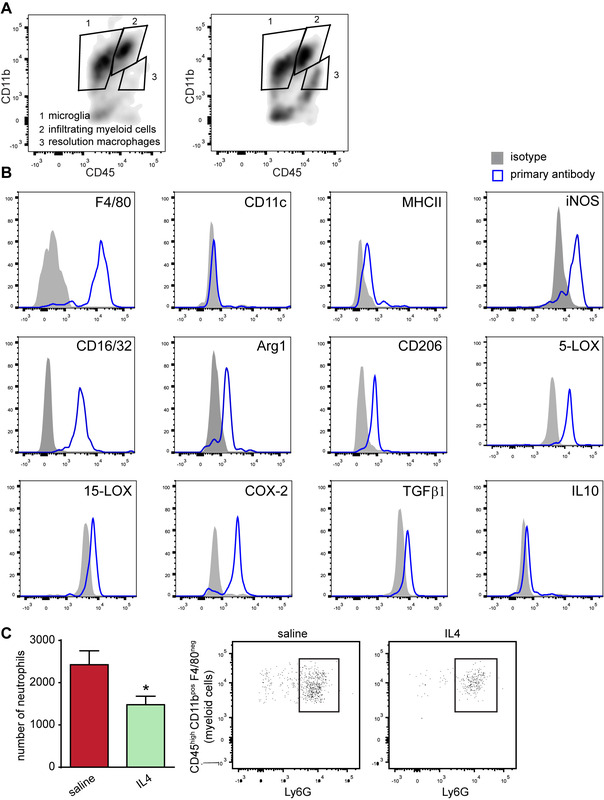 We also show that delayed injection of IL-4 leads to the appearance of resolution-phase macrophages, and that IL-4 enhances resolution of inflammation after SCI. 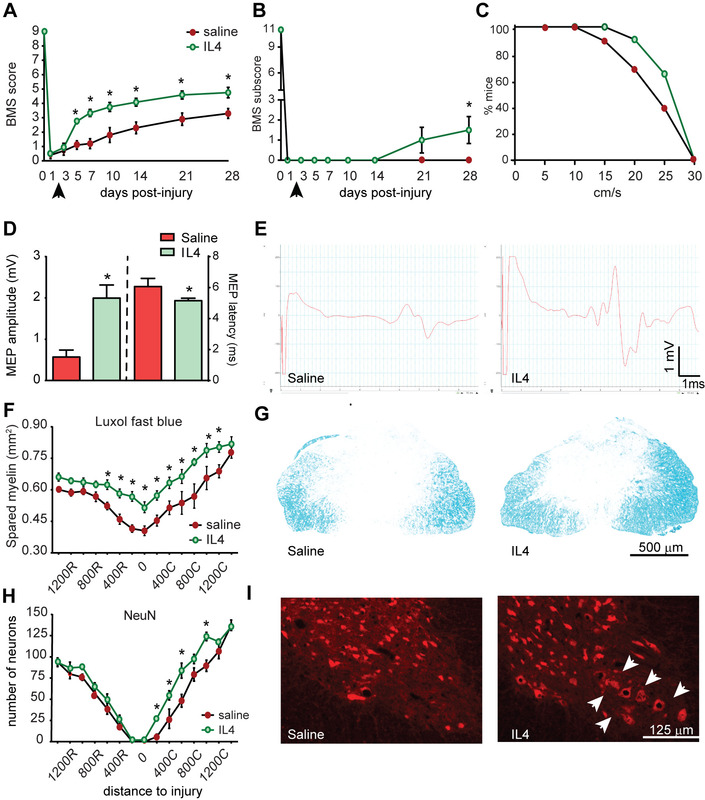 Interestingly, we provide clear evidence that delayed administration of IL-4 markedly improves functional outcomes and reduces tissue damage after contusion injury. 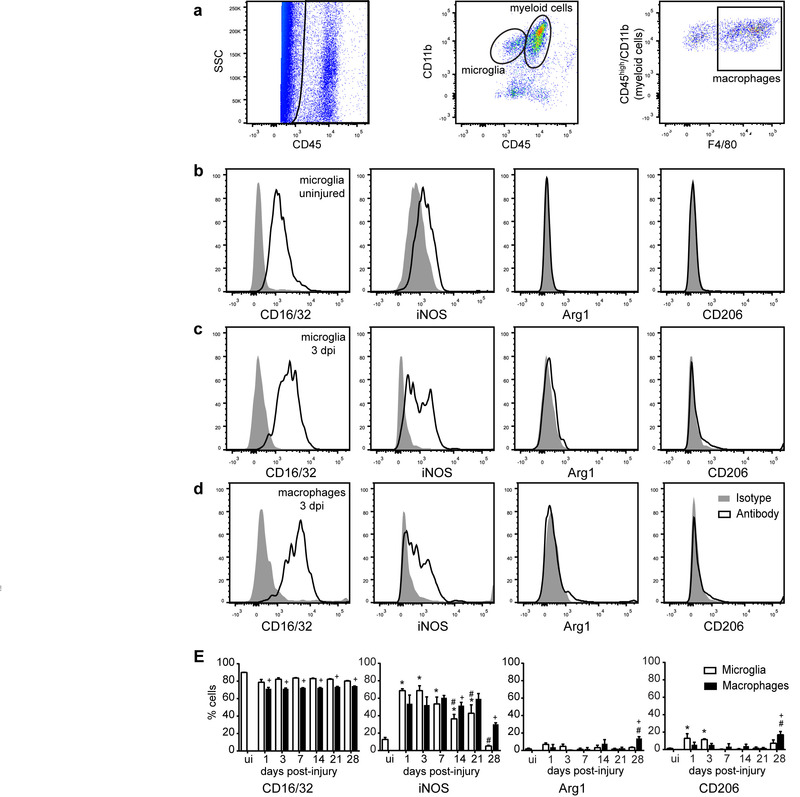 It is possible that these improvements are mediated by the presence of macrophages with M2 markers and resolution-phase macrophages. 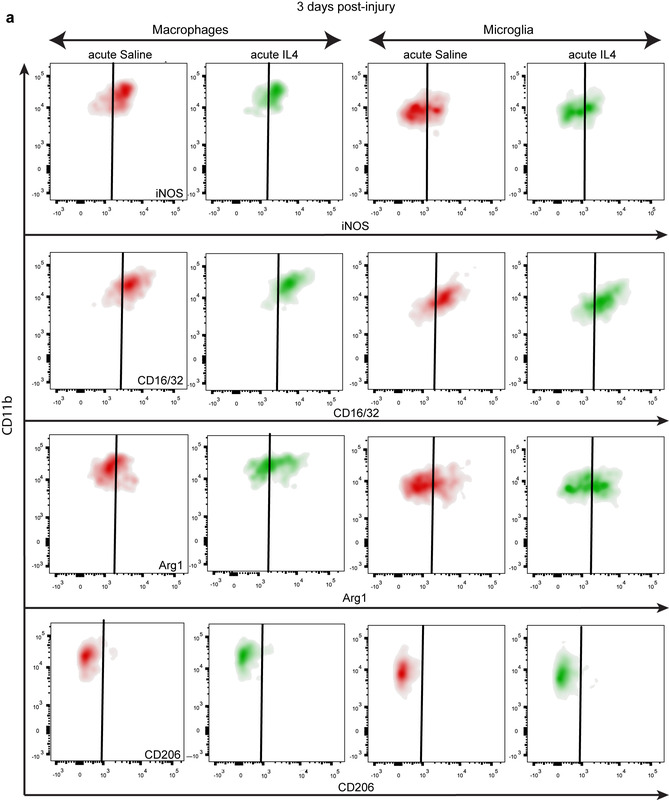 These data suggest that therapies aimed at increasing IL-4 levels could be valuable for the treatment of acute SCI, for which there are currently no effective treatments.